Canon’s coreless motors are part of the family of dc-motor products that are custom manufactured to achieve the exact speed, power, and currents required for OEM applications. 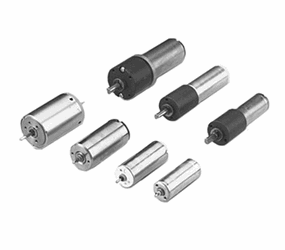 These motors feature a small footprint, high power output, and a low moment of inertial that provides quick response rates and high controllability. They are ideal for many applications including cameras and pumps. Customization and other options are available on request. The Canon coreless motors can be found in robotic systems, semiconductor process equipment, sporting equipment, currency/credit card acceptor mechanisms, medical devices, entertainment products, diagnostic equipment, pumps, banking and gaming equipment, and much more. Download the coreless motor datasheet for more features and specifications.